My first croquembouche ! It was not perfect but I managed to finish this cake. 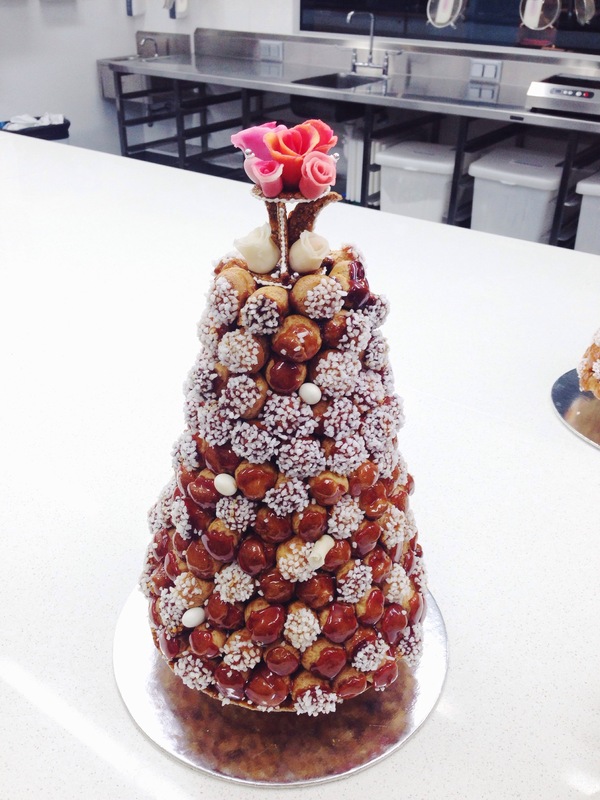 In Italy and France, Croquembouche is often served at weddings, communions, and first communions. It is made of choux pastry filled with pastry cream (custard), dipped in a caramel and arranged into a cone shape.